The LED Pinspotâ¢ 2 includes two front focal lens options to produce hard-edge beams for a variety of applications. 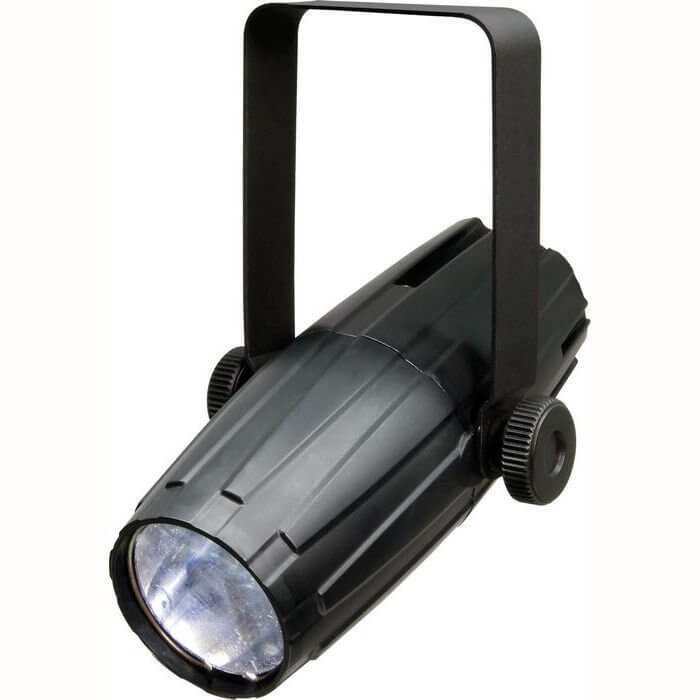 The LED Pinspotâ¢ 2 is extremely lightweight, at less than half a kilo, and is powered by a 3W white LED. The auto-switching power supply allows the fixture to adapt to the voltage provided, ranging from 100Vac to 240Vac. Comes with free pack of 4 coloured gels to change colour of beam.